Complex websites may look appealing to the eye but they’re not very effective in helping you achieve your business goals. This is because the complexity of these sites often leave web users confused or worse, they leave and visit the competition. You see, there are advantages to having a simple website design. In fact, that’s why many web designers have switched to a simplified approach to web design. 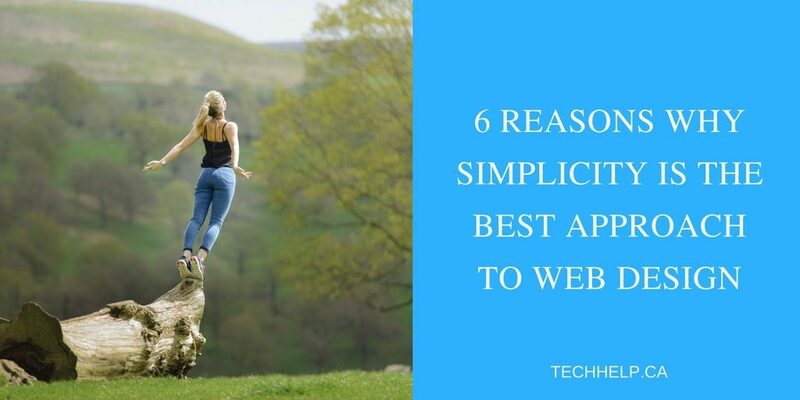 So what do we mean by “simple” and how do you apply this to your website? Simplicity doesn’t mean that you shouldn’t have an aesthetically pleasing design. On the contrary, it means that your websites have to be visually pleasing, easy enough to use and understand. Applying simplicity to your design usually involves the elimination of unimportant elements such as codes and content that doesn’t enhance the user’s experience. The result is always a simpler and easy to use site for your visitors. You see, simple website designers are more concerned with design aesthetics and website functionality. Here’s why you should go for a simple approach. For the most part, the codes are simple and often streamlined with fewer HTTP requests. This makes it a lot easier to load for your visitors. Additionally, you’ll receive more traffic to your website because it’s good for SEO. It’ll take less time to load your web pages and load time is a ranking factor. Your website wouldn’t just load faster but will also respond faster, which enhances user experience and interaction. 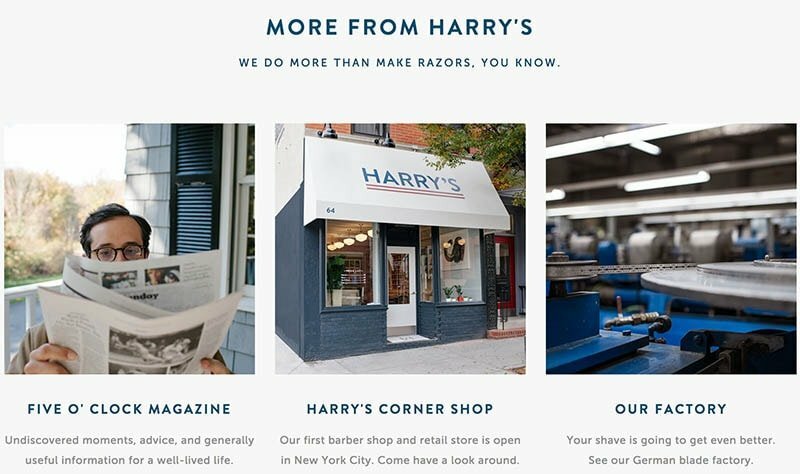 Navigation can be the difference between turning your customers off or making a sale. Good navigation makes it easier for people to use your website as compared to a much complex navigation. Navigation should be clean, bold and less overwhelming with info. Usually, simple designs don’t carry too much unnecessary information, therefore there’s more use of white space, making things less cluttered. Do you see how they laid out their navigation in a simple way? Although they’ve got a plenty of products that they want to sell, everything is neatly placed with great use of white space. In general, simple websites need fewer codes so they’re much easier to design. They may also only contain a few web pages, which saves a lot of time in their design process. 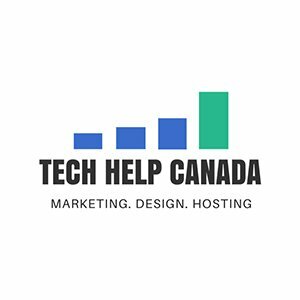 With simpler codes and fewer web pages, it’s much easier to maintain a simple website than a complex one. When creating a website for your business, make sure that you keep everything straightforward and avoid decorative elements that you can do without. This will ensure that it’s easier to maintain your website and for customers to use it. A simpler approach to design offers your business versatility during business growth. It’s easy to redesign and adopt a simple website design to a different form much later. If you’ve got a simple website, you won’t have to begin from scratch if your business grows, changes direction or you decide later on to create a new website for your business. All you have to do is adopt your current website to the new business direction. Since simple websites tend to avoid unnecessary decorative elements and other less important things that might push content into the backstage, they’re perfect for search engine bots. This is because the bots will find it really easy to scan your content. Simplicity can make your website more effective at passing information. The user doesn’t have to think too much, they can scan the web page and quickly find the information that they’re looking for. Sometimes your web designer may have to correct errors within your website. Since a simple design is made with fewer codes, debugging becomes much easier. It’ll take a shorter period of time to find problems than it would take for a highly complex website. Well, that’s all there is to it, so let’s wrap things up quickly. To give your customers a better website experience, ensure that you simplify your design. Avoid all unimportant web elements that serve no purpose and may make your website cumbersome. You can remove elements such as drop shadows, image borders and extra illustrative images among others. This approach to web design can increase your ROI because it’s user-focused and in business whenever you put users first, you often win.